Wow, sounds a good news for us. 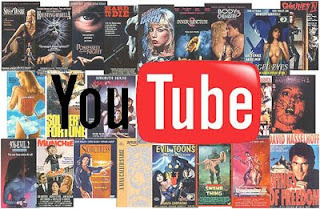 Soon movies will be shown in YouTube like, Twilight Saga, Harry Potter, G.I Joe, Transformers. Movie goers don't have to go anymore to theaters or movie houses to watch the movie. The movies can be streamed online of course for who are willing to pay $4.99. YouTube which is owned by Google is negotiating this with Hollywood studios. If the negotiation would materialized, then YouTube will have to go a major change. We all know that Google is earning most of the revenue through advertisement Its competitors are Neflix, Amazon and Apple which allow the users to buy or rent movies on line. The price of $4.99 is not clearly stated if this is a subscription for 1 year or this is only good for a certain movie. If the cost is for one movie alone, then this will be expensive for the Filipinos who are not earning dollars. Filipinos would still buy pirated movies and watch for it. Since this is under negotiation, then we better cross the line soon. But we can still get free movie downloads from other providers. I hope the payment of $4.99 would be cleared soon. Hayden Kho, Now a Women's Right Advocate?